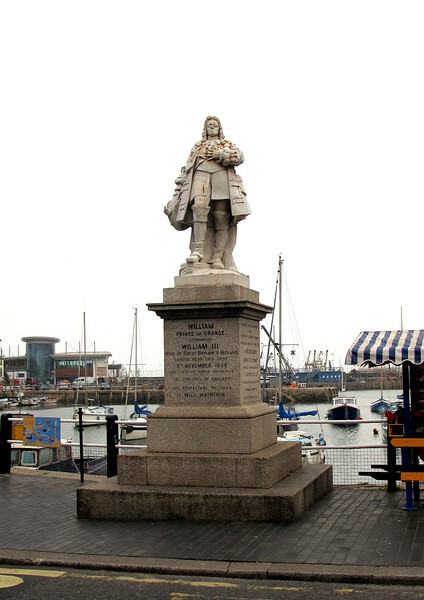 Brixham Inner Harbour and the statue of William the third. 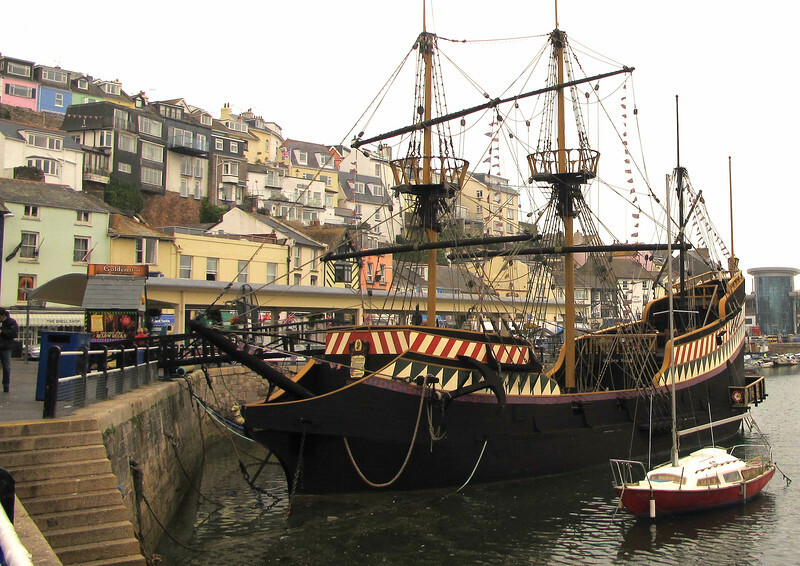 One of two full sized replicas of The Golden Hind, Frances Drakes famous ship. 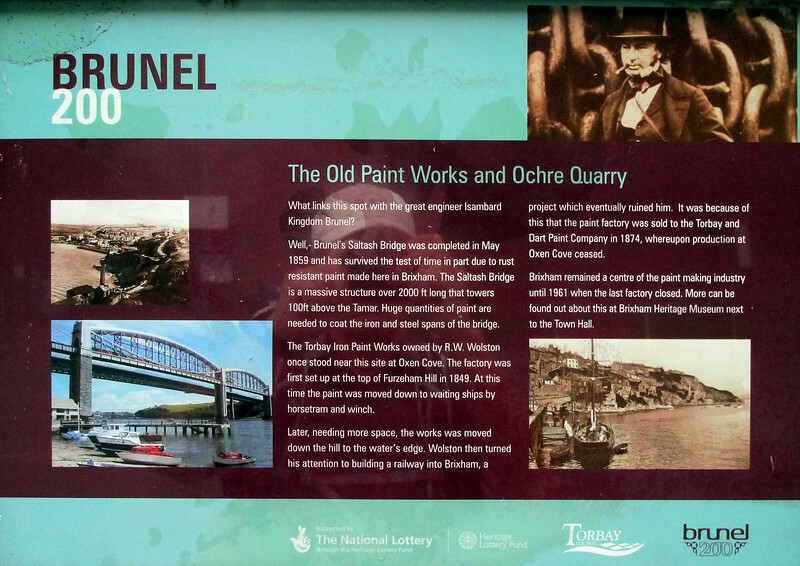 The other lies berthed on the Thames in London. 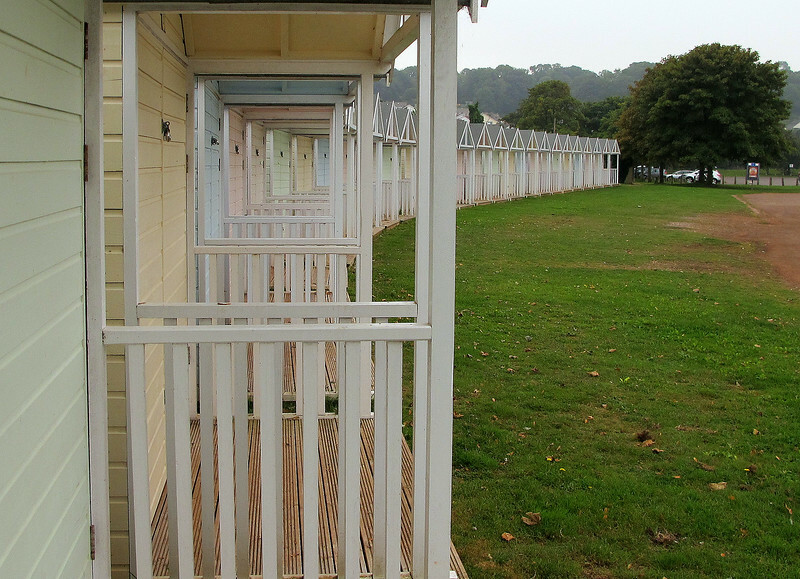 The original ship was amazingly small to have gone on the voyages that it did. 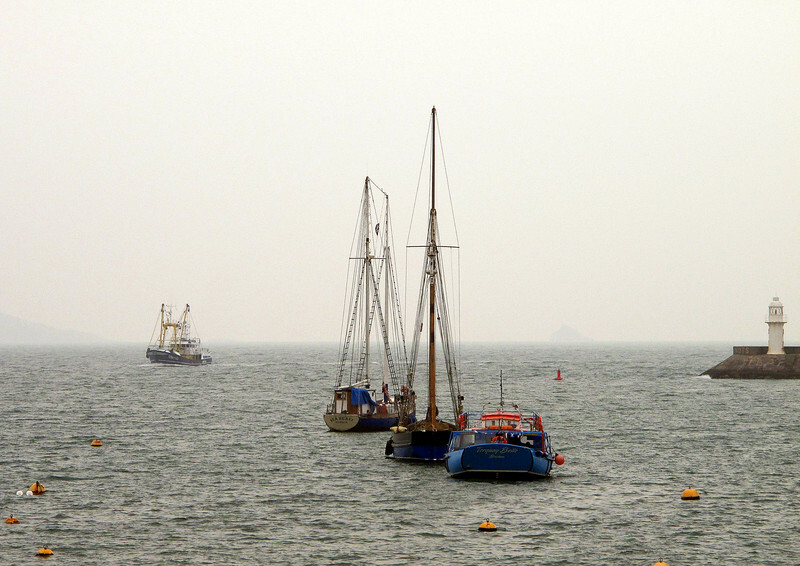 A Brixham fishing boat returns to port after a night at sea. 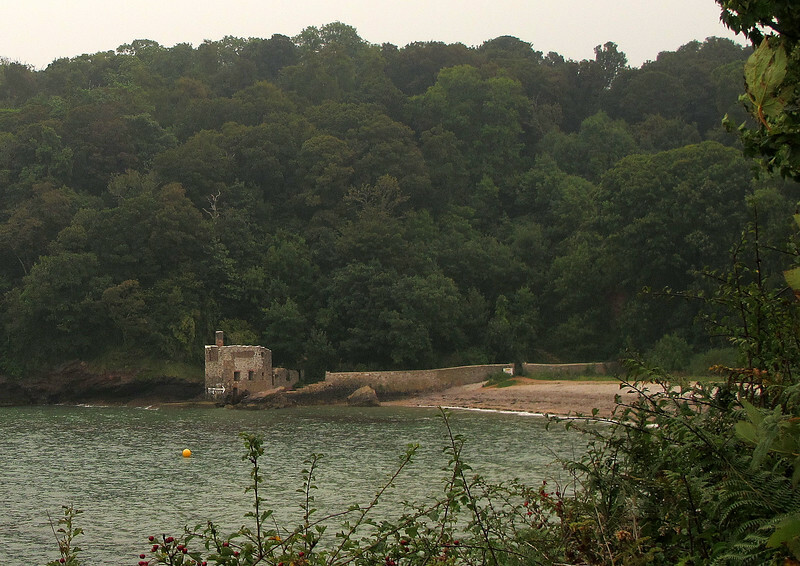 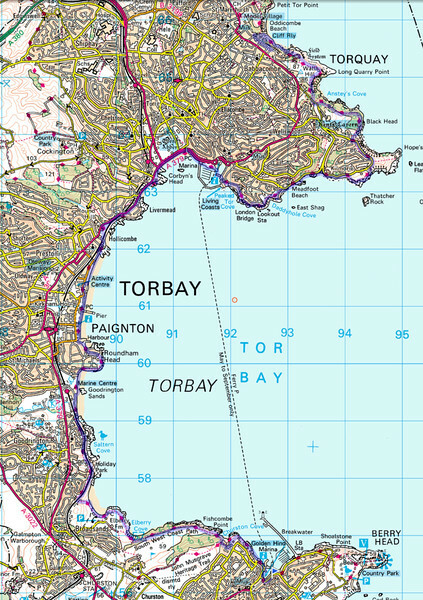 The building at the end of Elberry Cove is Lord Churston's bath house, somewhere to change and dry out while swimming here. 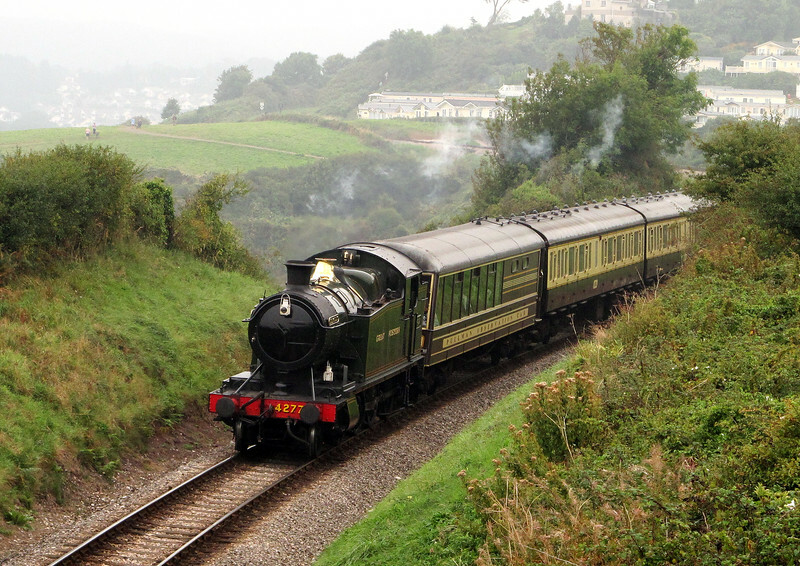 A Dartmouth Steam Railway train passing through Godrington. 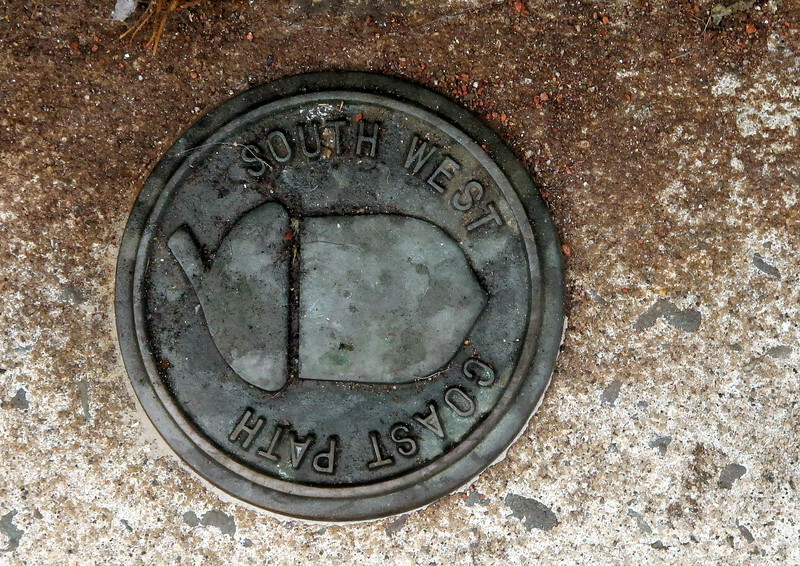 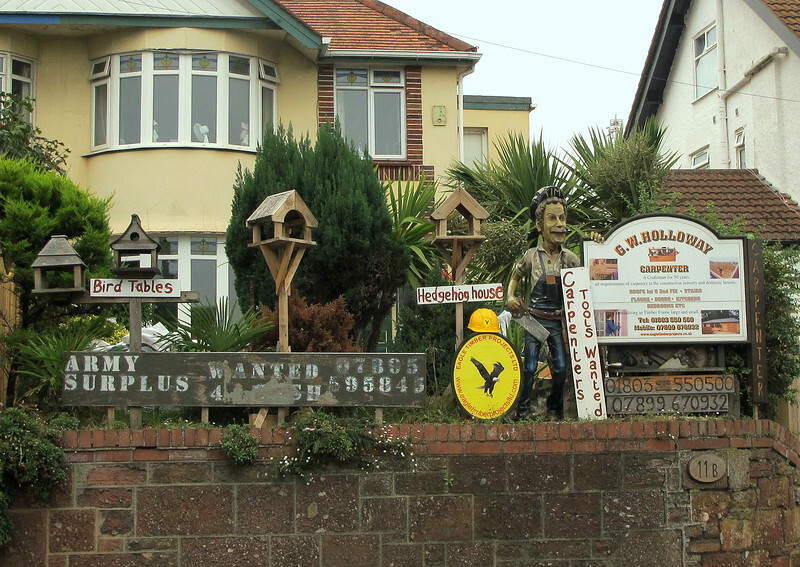 Seen in a garden in Paignton. 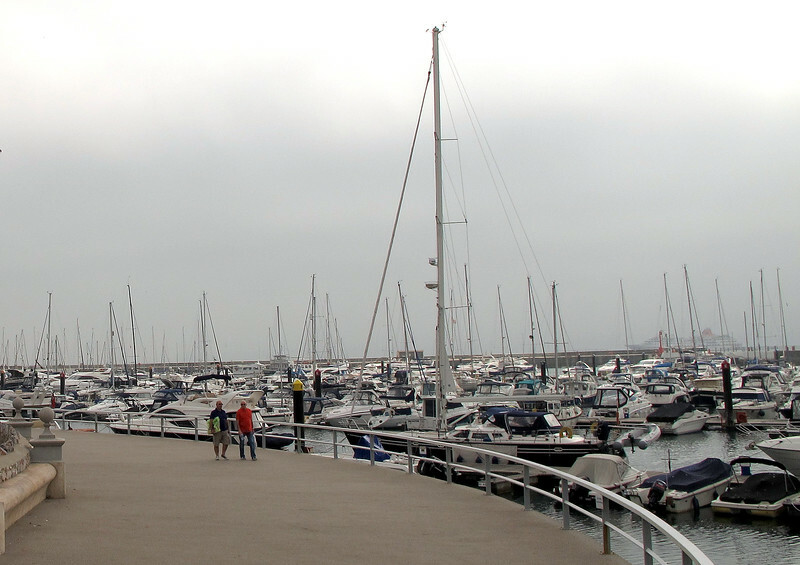 The marina at Torquay with a cruise ship lurking in the mist offshore. 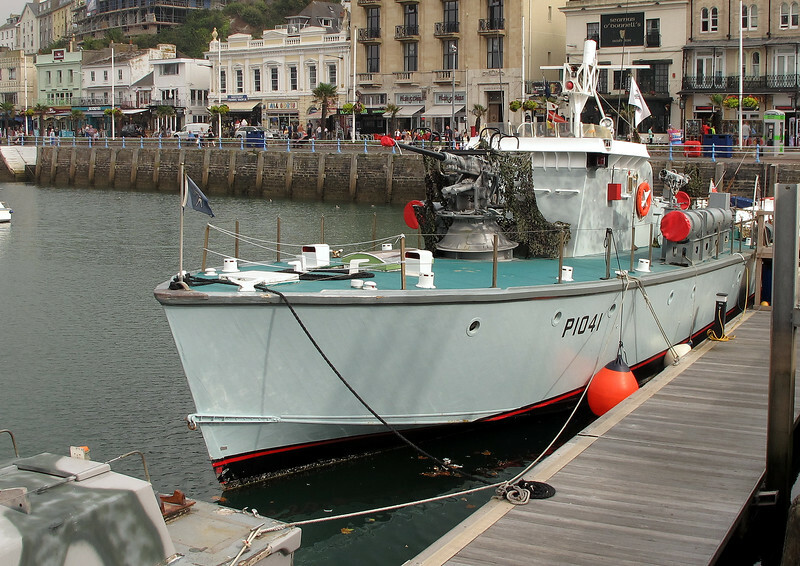 In Torquay Harbour lies this fully restored Fast Patrol Boat. 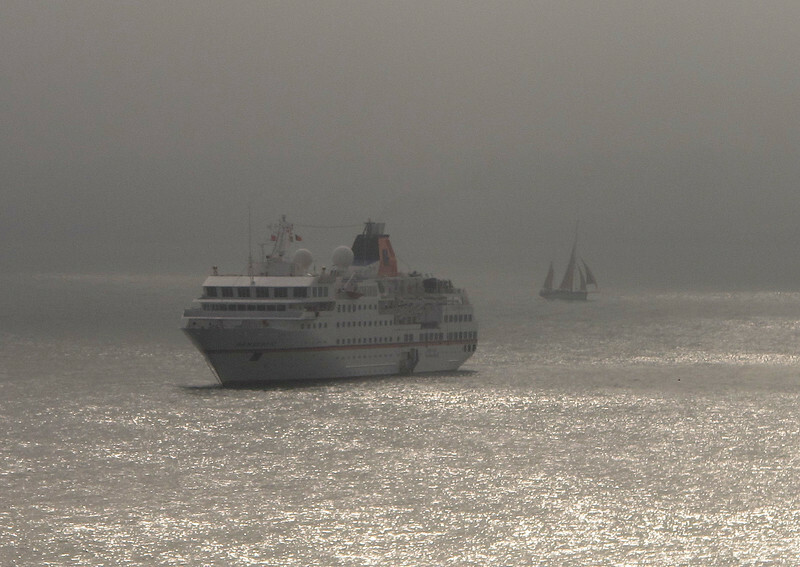 At Torquay a cruise ship and a sailing ship in the mist.